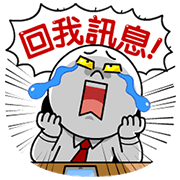 http://www.line-stickers.com/ – 2017 LINE Taiwan Party: Your Work Life Line Sticker | Download these exclusive stickers! Turn on your bluetooth and receive Beacon message to get this handy animated set. Available till 11 pm on March 10, 2017 (GMT+8). Perfect One × Honorific bear LINE Games Fourth Anniversary Mae Jiang and Fat Rabbit’s Happy Life Mogan Shopping JP Goods & Free Shipping!